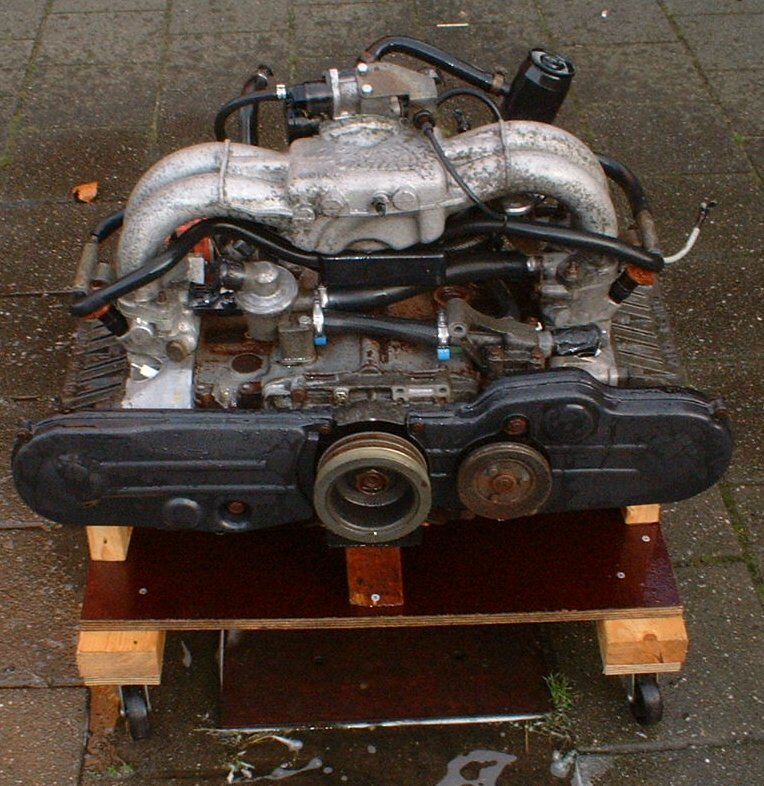 I finally got around to cleaning the engine. I don’t like cleaning ( I haven’t washed my beetle in more than a year or so…) so it is a functional cleaning. This means, I’d have to get all the grease and dirt of, but I don’t aim for an engine that looks like it just came out of the factory. It will get dirty again when it’s mounted in my beetle. 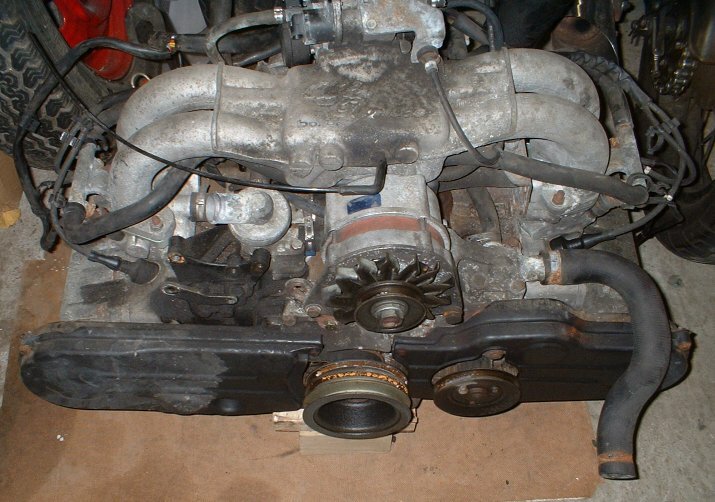 As you can see I removed the alternator, starter and wiring for this job. I also taped all the openings so the water couldn’t get in. 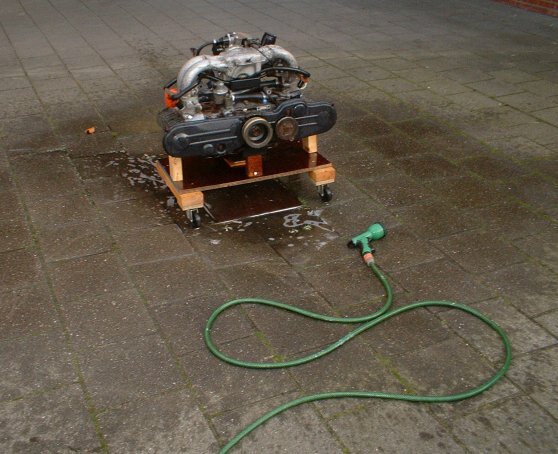 I then sprayed on engine-degreaser and washed it all of with water.